A tow company is likely to respond quickly to a stranded driver calling for help if their fleet is equipped with tow truck tracking device. As we all know, customer satisfaction is crucial to any business that offers service as their main product. Aside from the work quality, a company’s success depends on how good their customer service is. Being able to respond faster to the customer’s request is one of the surest ways to improve customer satisfaction. It is your customers, through word of mouth, that will help your business grow. 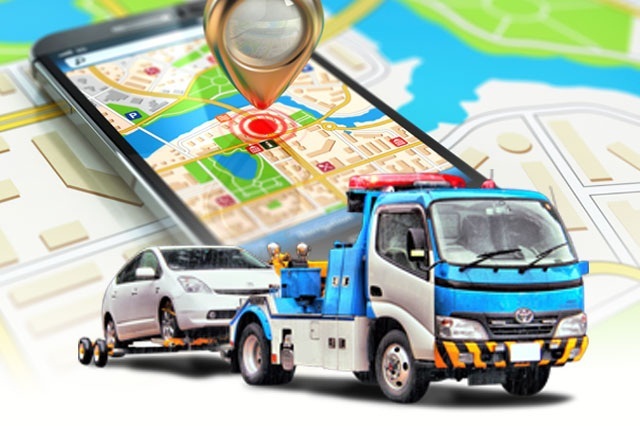 Tow truck tracking device allows fleet managers to monitor their fleet in real time. This enables them to check which among the available trucks is the closest to the area and will be able to dispatch it instantly to the customer. Latest 3G fleet tracking system offers more than just tracking vehicles, it also keeps field personnel driving behaviors in check, monitors vehicle maintenance schedule, reduces fuel consumption, and increases business profitability. Being aware of the whereabouts of your tow trucks at all times allows you to dispatch the nearest truck to a stranded driver and relay to him the estimated time of the truck’s arrival to lessen the customer’s anxiety. Latest GPS trackers can provide up-to-date road and traffic situations, allowing fleet managers to assign a more efficient route for the trucks and saving time and resources for both the customer and driver. The device will give information about the driver’s behavior on the road. With this, you will know whether the driver regularly drives more than the speed limit, deviates from planned routes, or idles—and having access to these information will help you take needed actions to make your vehicle, driver, and the people on the road safe. Tow truck tracking device can provide data that show if your truck is being used without you knowing. Unauthorized usage unnecessarily increases fuel expenses. In case of property theft, the GPS tracker in your tow track can help you locate and recover your stolen truck faster. This only shows that investing in a tow truck tracking device will give your company huge savings, ensuring a quick return of investment. Our user-friendly GPS tow tracking units will help you achieve your business goals, manage your fleet efficiently, eliminate idling, improve customer service, and reduce operational cost, which easily translates to an increase in profits. All our Trackimo tracking devices are tested and guaranteed ready for use before delivery. Once installed on your fleet of tow trucks, you can begin tracking from your desktop computers or mobile devices connected to the Internet. Give us a call anytime to know more about our Trackimo devices or schedule a demo.